Oil pastels are a fun and vibrant medium that are not only beginner friendly, but require very little in additional art supplies in order to get started. 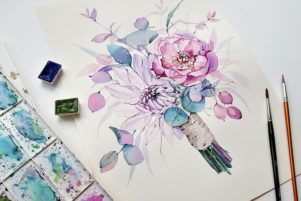 With their brilliant results and painterly strokes, it’s no wonder that this is a medium that many seasoned artists gravitate to after painting with traditional wet mediums (i.e. acrylic and oils) for several years. Today we want to compare and review some of the best oil pastels that exist within the market. In our research we found that a quality oil pastel should be uncompromising and contain a high pigment load, consistent binding medium, and a diverse lineup of colors – like the Sennelier Oil Pastels. 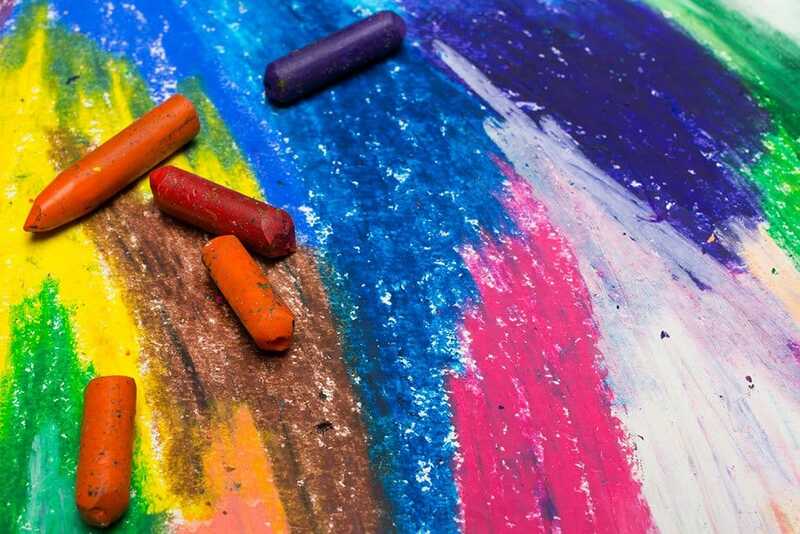 While the concentration of this guide is to review the best oil pastels, we also want to cover a few key considerations you should take into account before purchasing your new oil pastels along with a few answers to the most common questions artists have when getting their hands on this fun medium. The biggest difference between many of the pastels on our list will be their intended skill level. For those of you just testing out oil pastels for the very first time, we strongly recommend that you go with a student grade oil pastel. However, for those artists who have some experience in oil pastels or come from an artistic background, professional grade oil pastels will likely be better suited for you. The biggest difference between student and artist (professional) grade oil pastels will be the pigment load. Artist grade oil pastels not only contain a much higher pigment load in their sticks (i.e. more vibrant colors), but also feature better binders as well. As evident in artist grade brands like Holbein and Sennelier, these oil pastels will not only deliver bright and powerful strokes, but also have a much more buttery and smooth consistency to them. Student grade oil pastels will be a bit duller and not nearly as smooth when it comes to their strokes. This isn’t necessarily a bad thing by any means, as student grade oil pastels are intended for artists feeling out the medium and are still studying its properties. If you don’t plan on selling your pieces and archival quality isn’t a huge concern, then a student grade oil pastel will likely suffice. As you will see in our reviews below, oil pastels are sold in two main varieties – as a set or individually. If it’s your first time ever using oil pastels, we strongly recommend going with a set. A set gives you instant access to a wide color spectrum that you can employ in your artwork. A wider color selection also allows for more subtle blending, especially if you plan on using the rule of 3s as we covered recently in our oil pastel tutorial. If you do purchase a set, be aware if the company sells the oil pastels individually (some do and some don’t). Should you be working on a large-scale piece, having to replace a specific color can prove tricky if there isn’t an individual color available for sale. Buying a set that doesn’t offer replacements will require you to mix across brands and will be near impossible to find the exact color you are looking for. However, companies that sell their oil pastels individually are also a great way to test different brands at once. This way you can truly see if they are worth the price before investing in an entire set. From being soft and creamy to ones that are a bit more rigid, you will find that in oil pastels the consistency can vary greatly from one brand to another. Many artists prefer those that are a bit softer and creamier as it makes blending a fair bit easier and ultimately translates to better results in a finished piece. However, rigid oil pastels definitely have their place. One of the biggest gripes that many artists have with oil pastels is their difficulty with detail work. Given that oil pastels create much more painterly strokes, a firm body oil pastel can help to achieve cleaner lines within your artwork. So, before you purchase your new oil pastels, think about your preferences as an artist and the type of work that you plan on making. While we all wish we were made of money, the reality is that we aren’t! Unfortunately investing in quality art supplies is a struggle for many. But remember, the amount you spend on oil pastels doesn’t necessarily translate to better results from the artist. Paying top dollar for Sennelier oil pastels isn’t going to make you magically better with color selection or composition. With that being said, find the oil pastels that work for you and don’t break the bank. As you will see below there are some terrific value brands on our list. 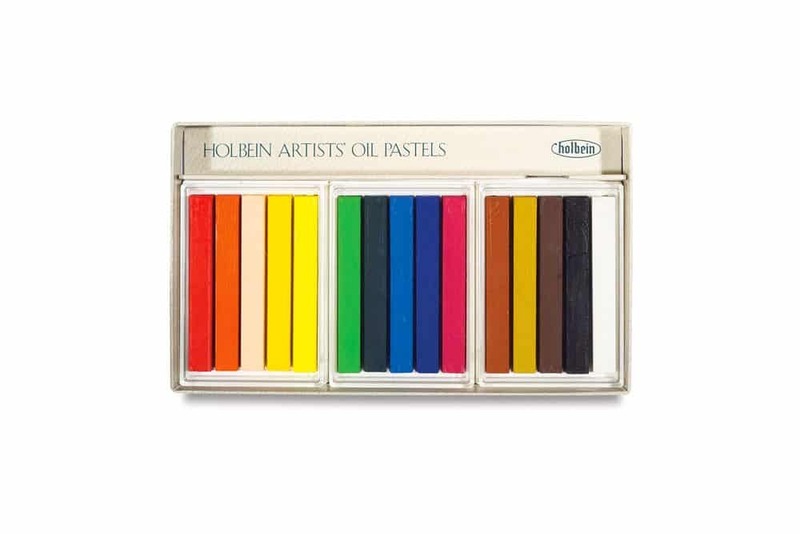 Now if you are an artist that makes a living with oil pastels, you will find nothing better than the artist grade brands of Holbein and Sennelier. They are simply unmatched in both quality and results. There is no better brand when it comes to oil pastels than Sennelier. Respected by the greats including Picasso, Sennelier oil pastels are everything that other brands strive to be. From their smooth and creamy consistency to their intense and vibrant colors, these truly are the best oil pastels money can buy. With 120 different colors, you can get vibrant and bright results with every color in the spectrum without the need for blending. For the professionals that want more details around the oil pastels, we found the color chart that covers lightfastness, opacity, and of course, the entire color lineup as well. Each of the sticks feature a round barrel which are fairly comfortable for long sessions, while still being versatile when it comes shading. Sold both as a set and individually, restocking used colors are easy as well. Overall, it really doesn’t get much better than this for oil pastels. Professional artists love their consistency and results. 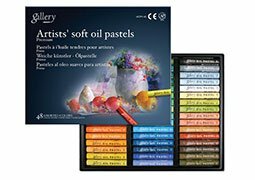 If you want to use the same pastels that famed artists used, then you should definitely go with these oil pastels from Sennelier. We absolutely LOVED these oil pastels for beginner and intermediate level artists for a variety of reasons. Like Holbein, Sakura is a Japanese based art company that prides itself in quality craftsmanship. These Sakura oil pastels feature an extra-fine pigment that translates to color purity that rivals the artists level pastels we reviewed. However, with only 50 color available, when using the Sakura oil pastels, you will have to rely quite a bit on blending. Luckily the binders used in these pastels do make it fairly easy – so you shouldn’t experience too many problems here. But one quality that we think you will love about this brand is that you can purchase them either as a set or individually. So, if prefer making landscape pieces and burn up all your greens and yellows constantly, you can purchase the Sakura Cray-Pas oil pastels individually. At only $0.67 per pastel – they are extremely affordable to replenish. Lastly, for the intermediate level artists that want a bit more info regarding lightfastness and swatches, check out the Sakura color chart here. There you will see info pertaining to each one of the 50 different colors Sakura makes. 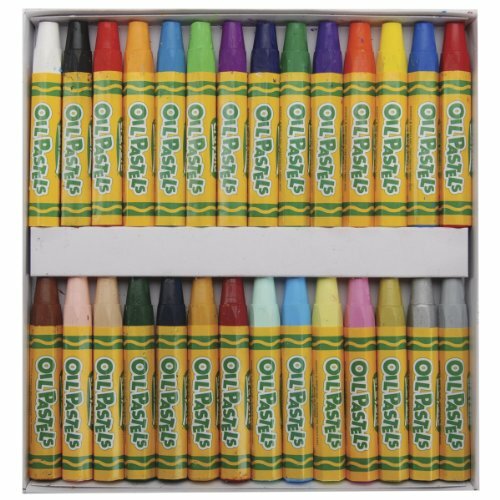 Overall, if you don’t mind spending just a couple of bucks more, we would highly recommend these oil pastels for those artists that want a bit of quality at a great value. Nestled squarely between the artist and student grade oil pastels you will find the Caran d’Ache Neopastels. This Swiss made oil pastel is perfect for intermediates who are starting to gain more confidence in this complex medium and are looking to upgrade from their student grade sets. Evoking that classic buttery and smooth consistency that is sought after by many artists, the Caran d’Ache Neopastels feature intense pigment colors that will deliver brilliance in your artwork. The list of the pigments is terrific (and almost unprecedented) as it gives you an idea of the purity of the oil pastels and the colors within. 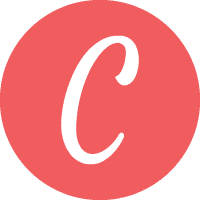 With a near perfect rating (4.7 out of 5.0 at the time of our review) at online art retailer websites, we aren’t the only ones that love this line by Caran d’Ache. Artists have exclaimed time and time again that they “have a great color range and blend well” to “well worth the investment”. Sold both individually and as a set, you can explore easily within the range of their colors and replace any oil pastels you use up fully in a piece. 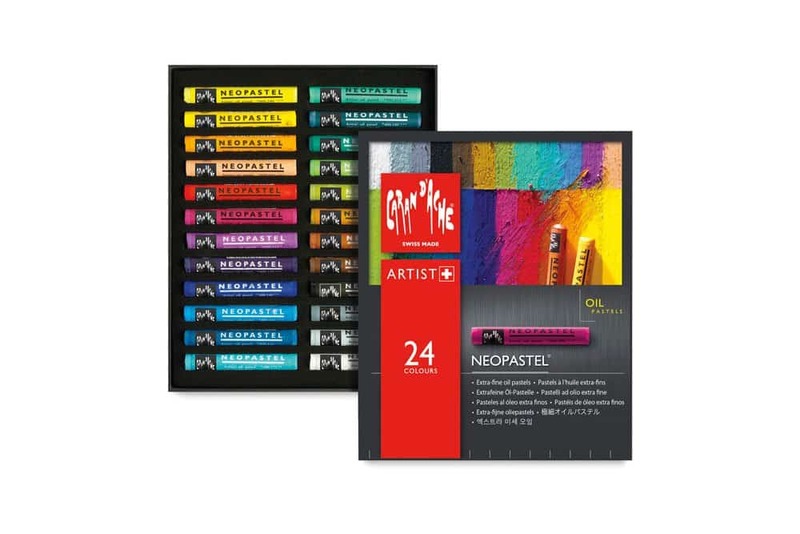 Overall, if you are looking to replace a student grade set and want to see what a higher quality oil pastel is like, this set from Caran d’Ache is a great stepping stone. 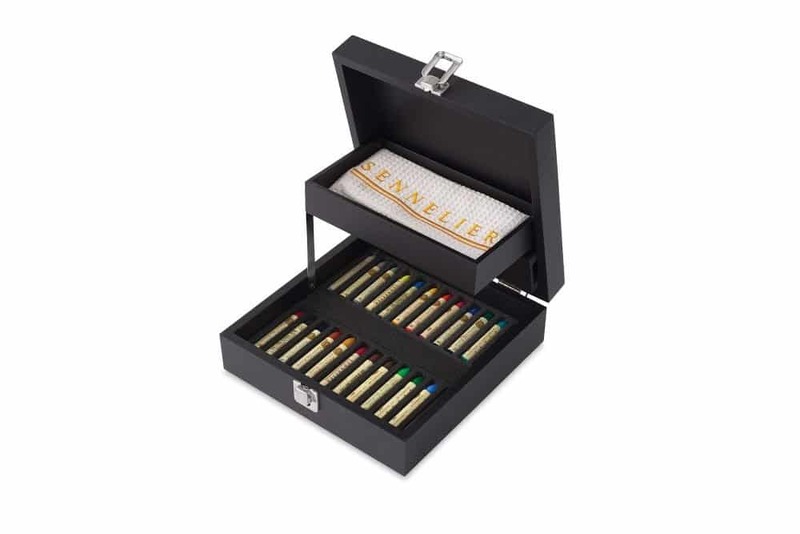 Not only do they deliver a better quality than a basic oil pastel set, but they are also priced perfectly. Whenever you hear professional artists talk about oil pastel recommendations, you will hear only about two names – Senneiler and Holbein. Both of these brands deliver the best (and consistent) results that artists crave. Drastically different than the Sennelier’s in just about every way, Holbein’s have their own passionate following from oil pastel artists everywhere. From the rectangular body to where the oil pastels are made (Japan), Holbein’s deliver a much type of oil pastel. 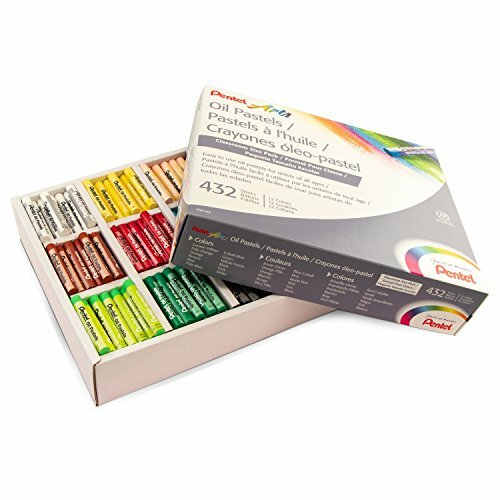 These fairly rigid pastels are not only perfect for detailed work, but the rectangular design also provides incredibly smooth gradients for the initial wash or tone of the piece. Carrying some properties found typically in soft pastels, this slightly chalky oil pastel makes blending a fair bit easier. As great as the body of these pastels may be, artists also love the color selection (color chart available here). With 225 total colors available – it is by far one of the widest selections available on our list. With such a wide selection, you can get vibrant colors across the entire lineup. Now if there were any downsides to these oil pastels it would be around their price. As one of the most expensive on our list ($3.29 a stick), it may be a bit out of reach for some artists. However, given that these are sold both individually and as a set, you can easily test out a few colors to see if these are right for you. Overall, these oil pastels are a quality offering. Respected by artists around the world, Holbein oil pastels deliver consistent and vibrant results. Their unique consistency gives them characteristics not typically found in oil pastels. Known primarily for their top rated water brush, Pentel has been a fixture in the art supply world for 72 years. Primarily a company focused on student level supplies, their oil pastels are perfect for those just starting out – and on a severely restricted art budget. This budget friendly set of 50 oil pastels typically retails for under $10, making them perfect not only for students, but even children as well. Now typically you would expect at a price this low that there would inevitably be some severe compromises. But what isn’t expected is the blend and stroke quality of these oil pastels. Whether you are a student or intermediate level oil pastel artist, you will appreciate the passable binders used. If there were any downsides to these pastels, it would be around the color replacement. Once you use up a stick, you won’t be able to buy them individually. So, you will be forced to explore other brands if you are looking to pick up where you left off in a large-scale piece. Overall, these oil pastels are perfect for practicing. If you are thinking about trying pastels but don’t have the stomach to layout the cash for the higher end brands, then this offering by Pentel is pretty darn good. One brand that you will find in countless oil pastel tutorials by YouTubers was the Mungyo Gallery line. The best way to think of these would be budget Sennelier’s. 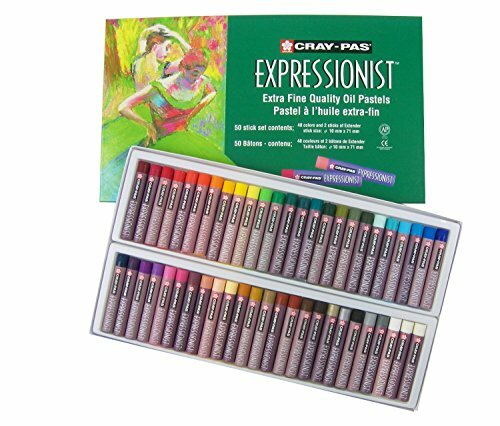 They offer that familiar creamy and smooth consistency that many artists are seeking in their oil pastels. But unlike the higher end brands, they ring up at only a fraction of the price (sub $25 price tag). However, there is a bit of ambiguity around this brand. We tried to find a color chart or if they could be purchased individually and couldn’t find either. Leading us to believe that if you are working on a commissioned piece or perhaps want archival quality in your oil pastel, you may want to look elsewhere. But, like the Pentel’s we also reviewed, these oil pastels are perfect if you are just practicing and still getting a handle on this easy to learn but tough to master medium. Overall, these are a middle of the road oil pastel that flashes signs of greatness in its consistency and vibrancy. However, the lack of information around the brand will inevitably bring up questions by the professional artists. Just about everyone is familiar with Crayola. It’s the quintessential art company for kids everywhere. Should you be raising a little Monet in your house and want to expose them to different mediums that don’t require a huge amount of cleanup on your end – then the Crayola oil pastels could be just the answer. Formed in an oversized mold, this hexagonal barrel is perfect for comfort no matter the hand size. And the slightly tapered tip helps to provide some precision when it comes to the line work. Sure, these won’t perform as well as many of the intermediate or professional grade oil pastels on our list, but that’s to be expected. It’s a casual oil pastel that’s perfect for just getting you used to the medium. Overall, these are designed for kids and teens. It’s an opening into the world of pastels from a company that everyone is familiar with. Given that it’s carrying the Crayola brand, these oil pastels are incredibly affordable as well. As we were researching for the best oil pastels, there were a few questions that kept coming up time and time again by oil pastel artists of all skill levels. Should you also purchase pastel paper? Yes. Pastel paper is starkly different from your standard drawing or copy paper. Similar in nature to watercolor paper, pastel paper has much more tooth than other surfaces. It’s through this raised tooth that the oil pastel can actually latch onto the surface and stay put. In addition to having the hefty tooth, pastel paper will also be a fair bit heavier too. This allows it to withstand the pressure of the pastel when pressed deep into the surface without tearing or wrinkling at all. However, not all pastel paper is equal. Brands like Canson develop pastel paper (see their Mi-Teintes Pastel Pad) that has a variety colors of paper to add dynamic tone to your artwork. How do you blend oil pastels? One of the toughest parts of using oil pastels is blending properly. As you will find out when you open your new oil pastels, it’s unlike any medium you have used previously. Starkly different from soft pastels that are much more “chalky” oil pastels can be blended in a variety of ways. Tortillon or blending stump – These are pretty straight forward and require a bit of elbow grease to make it look great. Simply use these tools and rub the pigment and binder between the colors as necessary. Fingers – Given that oil pastels are non-toxic its completely fine to use your fingers to blend. However, this can be both a bit messy and naturally has a limitation (without having to wash your hands every two seconds). Therefore, you might want to pick up some finger cots if this is your preferred way of blending. They are a fair bit cleaner and easier to pop on and off. Layering – While oil pastels can take up a bit of tooth on the surface of your pastel paper, a few light layers of the pastel may be just enough to get a mix of colors you want. We would recommend practicing on a scrap piece of pastel paper to see how it turns out before attempting it on a piece of artwork as there is a certain level of permanence with this method. 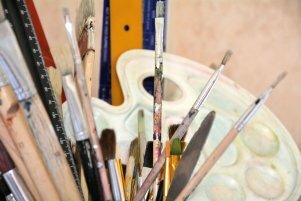 Brush or Q-Tip – While this will likely come naturally to oil painters, for those who have used other mediums (i.e. acrylic or watercolors), you can use an odorless mineral spirit or turpentine as a solvent to break down the binder in oil pastels. This can be helpful for doing light washes in your work and to thin out the medium. 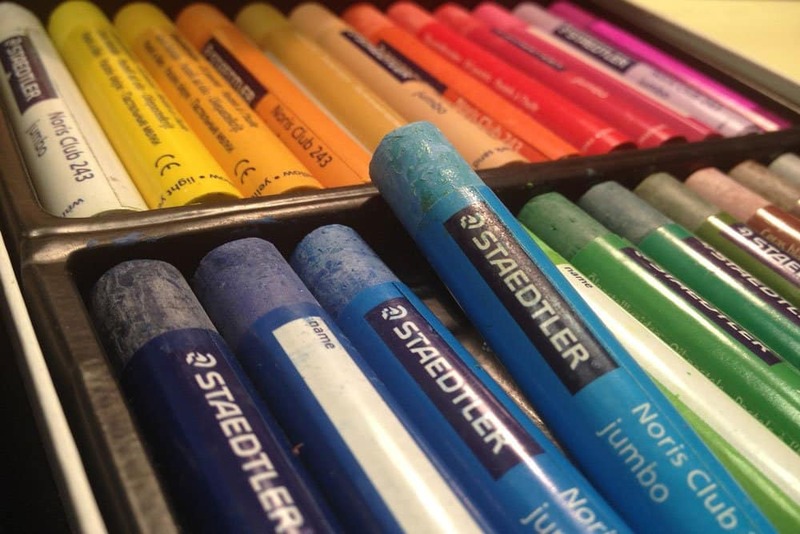 Blending pastel – Some oil pastel companies include a blending stick in the set. This is just pure binder and can be helpful in moving the pigment around on the surface. If you plan on purchasing a set, make sure it is already included, if not, you can purchase them individually as well. Do oil pastels need to dry? The fun and sometimes difficult part of oil pastels is their core consistency. Made from a non-drying oil, they never fully dry, making it great if you want to work on a piece for several days. However, if you want to put a piece in storage or on display, this can prove to be a bit cumbersome. Therefore, what many oil pastel artists will do once they are finished is spray a coat of fixative onto the surface. This applies a coat that adheres to the oil and prevents it from transferring off the surface of the pastel paper. You can typically find this at any online art retailer – such as this one at Blick Art Materials. 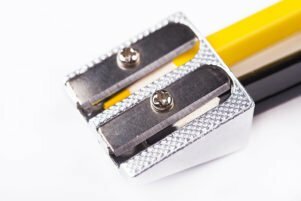 Can you sharpen oil pastels? Given that oil pastels are only a mixture of pigment, wax, and oil, you can’t really sharpen them to a point. Sure, you could use a piece of sandpaper or knife to form an edge, but the body of the pastel is rather soft and will become a blunt point after a few short strokes. Our best advice here is to embrace the medium for what it’s worth and try not to think of it as a hard pastel or piece of compressed charcoal. Furthermore, if you need just one sharp line, just use the pastel on the opposite end if a straight edge exist. As we mentioned above, oil pastels only have a few ingredients. If there is any type of pastel you need to be mindful of, it would be soft pastels. Those are much dustier and may cause respiratory problems for artists who don’t work in a well-ventilated area. Oil pastels don’t crumble like soft pastels and therefore don’t share this problem. As soon as you get your hands on your new pastels, it’s time to have some fun with techniques and tutorials! To help you out on your artistic journey, we recently published a piece that outlines various techniques and tutorials specifically geared for oil pastels. These should prove plenty helpful in making you a much better oil pastel artist quickly! Determining the best oil pastels in 2018 proved to be rather difficult. While the same two brands (Holbein and Sennelier) reign supreme for another year, the quality of oil pastels geared towards both intermediate and beginners is quickly becoming crowded. …and we think you will love them too! As we often exclaim here on the site, better supplies don’t make you a better artist, practice does. No matter what oil pastel you go with, just don’t let them collect dust. 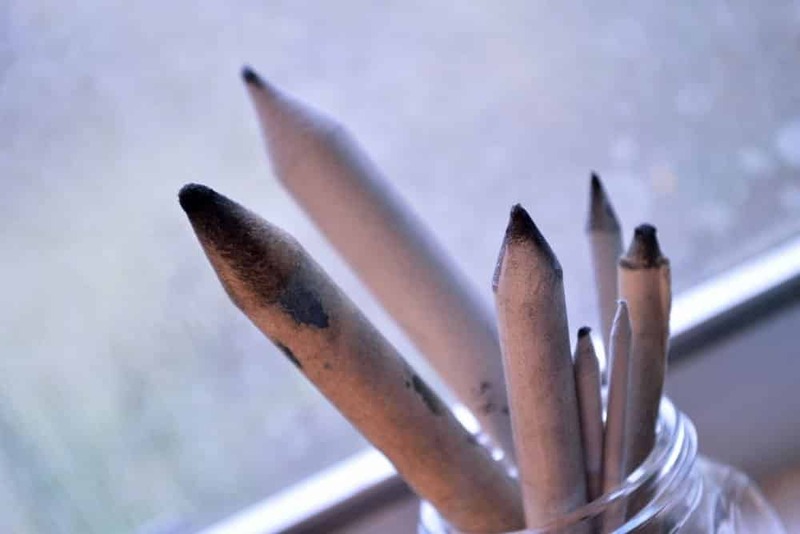 So, get out there and start making some beautiful oil pastel pieces!